A child’s world is a fast-paced, technological amusement park full of exciting visual effects and interactions. Everywhere one looks, one sees the ever-advancing technological influences on our world. “E-everything” and “i-everything” inundate children every second of the day. When they enter the classroom, they should be offered the opportunity to explore their world, learn from their world, each other, children from around the world through the use of the very technology that they use outside of the classroom. I find that this time, right now, is the most inspiring time to teach. Students are motivated and engaged in learning through technology and the level of retention, comprehension, and extension that results in this type of learning is nothing shy of remarkable. 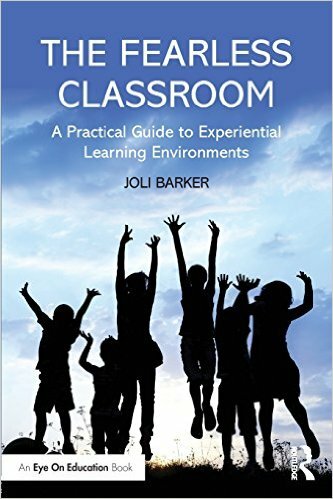 My vision for my classroom is to create an exceptional and experiential learning environment that breaks down the walls and reaches across the world to bring the most inspiring, most accurate, most memorable learning experiences to my students and those with whom we share them. It is like having the best of the technological world fully interacting with the minds of my students who manipulate and create from the information and experiences through that technology making their learning, community, and self-worth that much richer. Integrating technology is critical in engaging and educating students across the curriculum, and my approach to teaching is a fusion of best practice methodology and innovative project-based learning utilizing cutting edge technology. In spite of budget cuts and limited resources, the globally connective learning and its impactful effects are much farther reaching than that of a traditional classroom. Students are motivated by creativity and expression. They enjoy the necessary obstacles of games that challenge them to “beat” a level. They accept the challenges as necessary and work feverishly and tenaciously to successfully conquer the level. I have designed my classroom and teaching approach to evoke this same determination in learning. XBROX 360:the iConnect Project uses technology and gaming vocabulary and challenges to foster an excitement and curiosity for the curriculum while maintaining an analytical and critical level of thinking and problem solving. My job is to teach the state standard of the curriculum to second graders. My passion pushes me to educate my students from the curriculum into the world of global learning and social responsibility and to share my passion with my professional peers globally to reach every student possible. My students do not wonder why they need to know what I am teaching them nor do they wonder if the world out there really exists. Rather, they wonder how they can make a difference in their community and world because they believe that indeed they can affect change in their world. As an educator we are torn between wanting to educate children to be thinkers, explorers, and curious souls, and covering the curriculum to the expectation levels set by our campus, district, or state. Being fearless means taking a leap of faith, a well-calculated risk, that the curriculum is secondary to the education you will be providing. It is believing that you, the teacher, are actually the weakest source of information you could give to your student, but the most powerful of idea-generators, question-posers, genius-cultivators and that the students are capable of learning without you. We must allow failure to always be an option in our classrooms without fear and the fear of success to never enter our minds. You must abandon what you feel is comfortable and safe and consider the end goal in a new light. Be open-minded and open-hearted and be willing to make teaching a way of life for you. Hold fast to the belief that ALL children deserve extraordinary educational opportunities that are readily available if you just provide the environment in which students can explore, be curious and imaginative, and thrive. Cape yourself with the superpower gifts all good educators are blessed to have: a steadfast desire to improve the lives of children and their future, and a passion to see them succeed that trumps all criticism, frustration, and doubt. To be the educator in a fearless classroom one must insist upon constant, perpetual, and unwavering curiosity from oneself and one's students. If they aren't curious about the content in your class...be afraid...be very afraid. Are you ready? They are. The Microsoft in Education Global Forum recognizes and celebrates the achievements of educators who are preparing students for life in the 21st century. Each year, the Microsoft in Education Global Forum brings together participants from the Microsoft Innovative Educators Program and the Microsoft Innovative Schools Program for an energetic, collaborative conference. This high profile event is attended by more than 700 of the world’s most innovative educators, school leaders, and education leaders from 75 countries, along with government officials. Joli is one of the great driving forces of the excellence we cultivate at our school." I am proud to have been selected 3 years in a row for the Microsoft US Forum and twice for the Global Forum. The Fearless Classroom also has several articles in various publications such as TechEdge, eSchoolNews, and Texas Lone Star Magazine.